Program 1 consists of the church or sanctuary turning over the entire renovation project, from concept to completion, to Church Interiors. Some of the sample projects our past clients have needed are put in new lighting, change the look of the front area of the church, change the ceiling and expand the chancel area. The first step would be for our company to bring in a designer that would submit sketches and drawings to your building committee for review and approval. The interior designer will also prepare a designer board in order to coordinate colors. A comprehensive proposal will also be prepared. Once contract award is obtained, all materials will be purchased and warehoused. The actual work performed by our specialists will be scheduled so as not to disrupt church services more than necessary. This church renovation project will also hold us responsible for the entire turnkey project, which includes general construction work performed. Program II is a flexible renovation program, allowing the church to join forces with a local architect and/or contractor, all while accomplishing the same results as Program I. 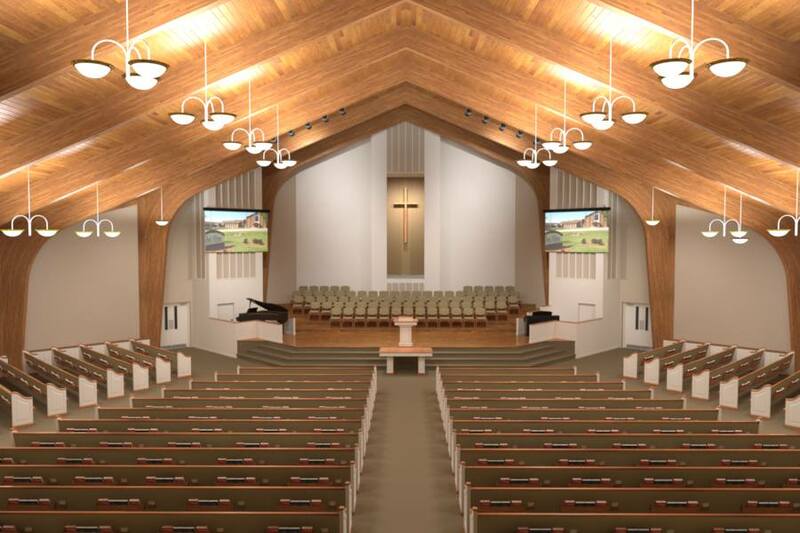 Under the Joint Ventures Renovations Program, Church Interiors will furnish the color interior design and will fulfill all of the work involved, minus the general construction portion. Areas that will be contracted with Church Interiors under this renovation program include painting and plaster repair, pew refinishing and upholstery, new pews, floor covering, choir chairs, chancel furniture, stained glass, audio/video, etc. Program III involves no general construction work. The main focus will be on cosmetic renovations including painting, carpeting, pew refinishing, cushions or upholstery, etc. that will go along with updating the color scheme of the church or sanctuary. Our interior designer will work closely with your committee in order to coordinate stains, paints, fabrics, carpet, etc. A proposal will be prepared and if it is accepted, we will schedule the work around your church services to avoid disruptions as much as possible. 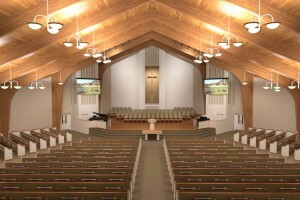 Church Interiors will be happy to offer your church just one service, if needed, or a whole church renovation package.